Even with the support you get from Turboexpanders.com, it is important to have plant personnel familiar with turboexpanders to minimize downtime during repairs and maintenence, make sure warning signs are not ignored and avoid problems that can be caused by improperly installed or maintained equipment. We offer training at any of our locations around the world, or at your site, in English, French, German, Dutch, Spanish, Gujarati and Hindi languages. 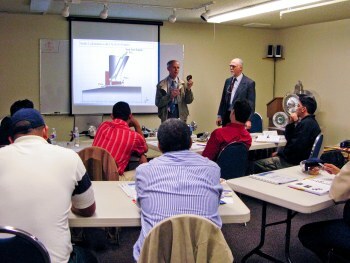 Standard courses are available ranging from a basic introduction to turboexpanders to many advanced courses about specific subsystems, or, if you have specific training goals that are not served by any of our standard courses, we can create a custom course to suit your needs.